The well-known musical artists Lecrae and Phil Wickham will be starring in the soon-to-be-released faith-based motion picture "Breakthrough," according to CBN. As CBN News reported, "Breakthrough" tells Joyce Smith's true inspirational story of faith. Smith is told her son is dead after he falls through a frozen lake. Her faith won't accept it and she prays him back to life. 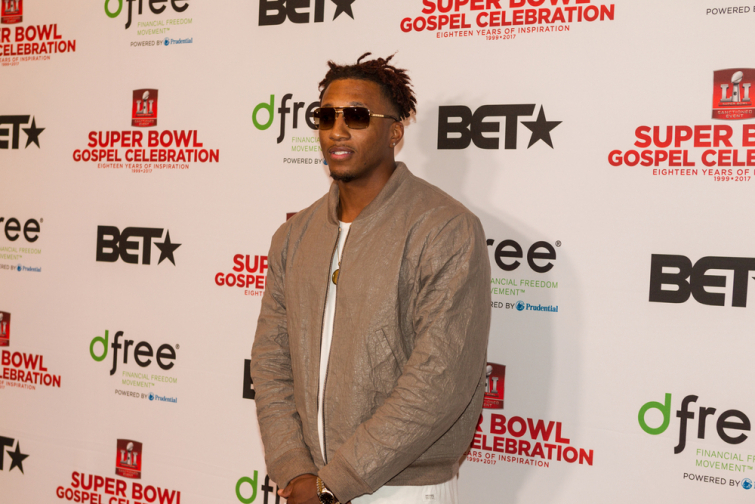 The Grammy winner and hip-hop artist Lecrae told The Christian Post he believes the Smith family's testimony is something people can use and hang on to today. "I think, specifically like in the Western world, we're in a post-Christian era. So I think a lot of times, we forget our faith has survived for thousands of years. It's just that here in the West, North America and Europe, it's post-Christian," Lecrae said. "It's like, 'oh, we're over that now. We're more progressive with science and so on and so forth.' But take a trip to Africa, you take a trip to China, it's thriving, it's on fire right now. That's the reminder that God is not irrelevant. It's just we forget, but He doesn't," he continued. "We become unfaithful, He's still faithful, and He's going to use whoever wants to acknowledge Him to do whatever it is that He wants done." "It's almost like, we are going to become the new mission field for the world, and it's films like this to remind us," the rapper noted. Phil Wickham believes that it's a good thing that a generation of people are not willing to subscribe to Christianity just because it has been passed down in their family. "Once there's truth out there, and people own up to where they stand. I think instead of saying, 'Yeah, I'm Christian, and you don't have to tell me about Jesus,' since they're almost closed off to hearing the real truth that they never heard before," Wickham said. "In some ways, it's paving the way for something beautiful to happen in our country once again."